Last week, I let you in on the secret weapon I’ve been using for the last year to grow my lists of potential clients. I even shared with you my personal results. If you didn’t read that and you have any responsibility for your firm’s or organization’s corporate communications or internet marketing, I urge you to go back and read that article. Today, I’m getting even more personal. I’m going to show you how I implement Leadpages and the exact strategies I use to grow my lists. As many of you know, I’m just like you. I’m an in-house marketer at a construction consulting (engineering) firm. I also run this blog/community and a few other websites I use to test new ideas. I maintain several lists for these sites. Let’s look at how I’m using LeadPages on these sites. Even though this first type of landing page is by NO MEANS the highest converting one I use, I tend to think it is the coolest. That’s because it actually converts potential clients who accidentally stumble onto your website. A 404 error page is a page visitors see when they try to reach a page on your website that doesn’t exist. Yeah, that’s what I thought too. But let me ask you this. Has your firm’s website EVER been redesigned? Has it been redesigned multiple times over the years? Have you ever taken any pages down? If so, there is likely a link somewhere on the web that points to a page on your website that no longer exists. People who follow that link go to your 404 Error Page. Let’s look at a few examples 404 error pages. When people stumble upon your 404 error page, it’s probably not because they wanted to visit your site. They clicked on something and got there. You’ve probably visited sites that way thousands of times. Let’s face it. With the industry standard 404 error page, you are losing those visitors/potential clients. In contrast, lets look at TRAUNER’s error page. Yes, we’ve turned it into a landing page with LeadPages. Instead of losing those visitors, about 10% actually opt in. Not to mention, look how specific that lead magnet is. If you are interested in that, you’re probably a potential TRAUNER client. We do a lot of webinars. At the end of each webinar, we direct attendees to a special landing page where they can get some pretty useful bonus material. These pages typically convert anywhere from 40-75%. Sometimes when I meet people who fit a specific demographic, I’ll send them an email that directs them to a landing page. Here’s an example of such a landing page. 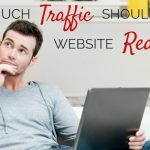 This particular page converts 54% of traffic. I’ve been known to sell a book or two. Here’s a landing page I put on my website to promote my book and give out a fee chapter. A lot of traffic hits this page. But it converts about 30% of those visitors. As I went over in the last article, LeadPages has a function called “LeadBoxes” where you can put an image anywhere on your website that acts as an opt-in box. Here’s a custom lead box we put at the end of blog posts over at TRAUNER. 61% of people who click on this box opt-in. Don’t forget. I’ve invited the entire Help Everybody Army to a special private webinar, this Tuesday, where LeadPages founder Clay Collins will share some new features and offer you a crazy deal. If you are at all interested or curious, you should really check it out. In a recent email exchange with Kevin over at LeadPages, he told me some details about the deal Clay will offer those who attend the webinar. This one is pretty crazy. And frankly, if I didn’t already have two separate LeadPages accounts…I’d be on that webinar grabbing this deal. And I think I’ve explained why. A Custom LeadPages Template You Can Sell in the LeadPages Marketplace. This is the big one. And I’m sure Clay will explain why on the webinar. Bob Jenkins aka “Bob the Teacher” will jump on the phone with you for 45 minutes to help you face any marketing challenges and utilize every aspect of LeadPages in your business. Private On-Boarding Webinar: Starting next week, you’ll be invited to a private webinar for enterprise members only, where Bob the Teacher will walk you through absolutely everything you can do with your LeadPages account — so you get the maximum ROI for your LeadPages investment. Weekly Mentorship Q&A Calls with the LeadPages Team. A New Kindle Fire HD 6: After your new custom landing page template is loaded into our Marketplace, they’ll send you a new Kindle Fire HD 6 that you can use immediately to download apps, browse the web, read ebooks, watch movies, keep your calendars, or anything else you’d like to use our favorite tablet for. Your Seat at All the 2015 Masterminds: In 2015, LeadPages is hosting quarterly masterminds at their new Minneapolis office. You’ll be invited to every 2-day mastermind, where you can work directly with Bob the Teacher and other LeadPages users to get the critical feedback you need to take your business to the next level. I arranged this webinar and deal for you through the affiliate program that comes with my LeadPages membership because, as I explained, I think it’s crazy nobody in the design and construction industry uses landing pages. Let me be clear. Nobody in my family works at LeadPages. They are not holding my loved ones hostage in some warehouse. I have no ownership stake in their business (I wish I did). And I’ve shown you my personal results and explained why you should or shouldn’t even consider buying it. One of the things people always ask me for is “product and service reviews” on this site. Well, me introducing you to the products that have changed my life or career, showing you my results, and giving you both the pros and cons of buying them, and trying to get you some crazy deal is the closest you are going to see. And as always, feel free to email me or post a comment with any questions about this landing page and conversion business or about my personal experience with LeadPages. I’m open to any questions or comments. If you feel I’m pushing LeadPages too hard here, let me know. If you hate all this recent stuff about internet marketing and just want me to write about proposals, let me know. If you’ve been loving this series about internet marketing, let me know. All your comments and emails help me make HelpEverybodyEveryday.com a more useful resource. And I do read every one. I love the sample you showed for #4 — Leadboxes. I’ve always used Leadpages but not used Leadboxes ever. Your example showed me how I can start using it on my blogs. I’m glad you found it useful! What’s your opinion of LeadPages?